Pretend play. It’s fun, engaging and great for their development, from helping to build their imaginative skills to encouraging social interaction. But when’s the right time to start, and what piece of pretend play kit suits their stage? It’s all about absorbing things at this stage. Although the main focus here will be developing their visual and sensory skills, it’s never too early to start their pretend play journey. 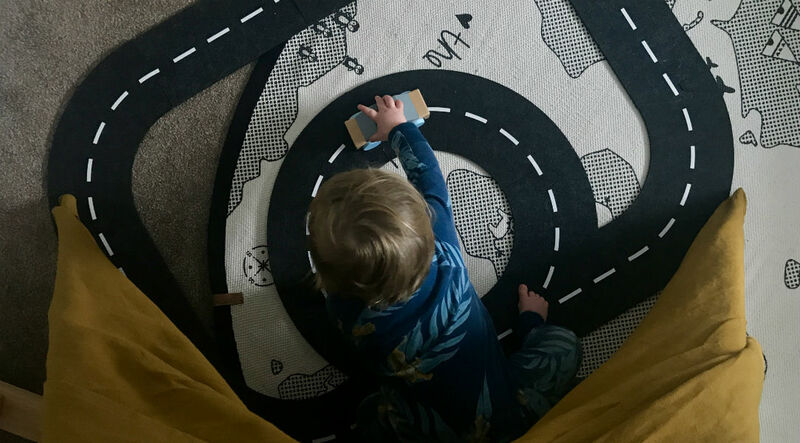 A brightly coloured play mat can help them learn about the world around them and eventually help them understand different stories and scenarios. Pick one that’s full of texture and different shapes like this East Coast Nursery Say Hello Discover World Play Mat. 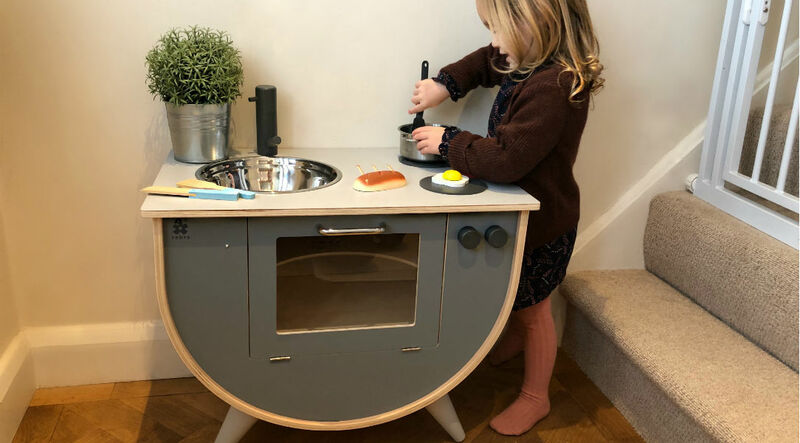 It plays the two original Baby Sensory Theme tunes and comes with five detachable toys to help encourage tactile and hearing development too. Alternatively, double up on their visual and imaginative development with a black and white set of flash cards. 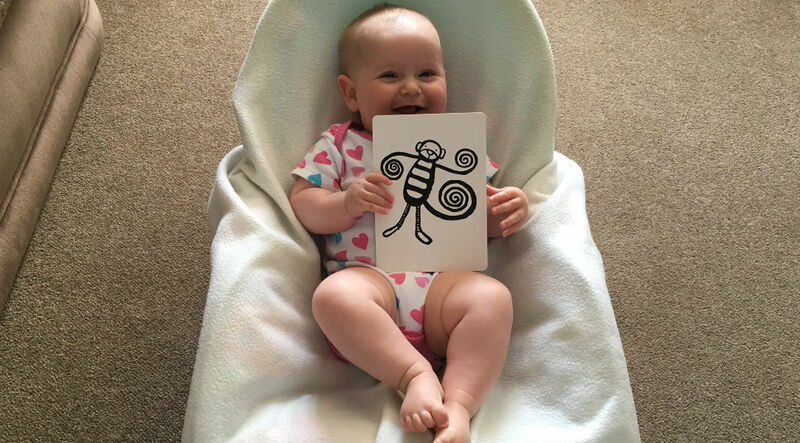 These Wee Gallery Art Cards for Baby are black and white to appeal to newborns. Just tell them all about the different animals (don’t forget the sounds) for a step in the right creative direction. Wee Gallery Art Cards for Baby, £12. They still won’t be fully grasping the pretend play stuff at this stage, but, as they say, every little helps… At around six months, babies' grasping skills will have developed enough for them to hold something for a couple of minutes. Embrace this and give them a simple toy that can help with imaginative play later on. 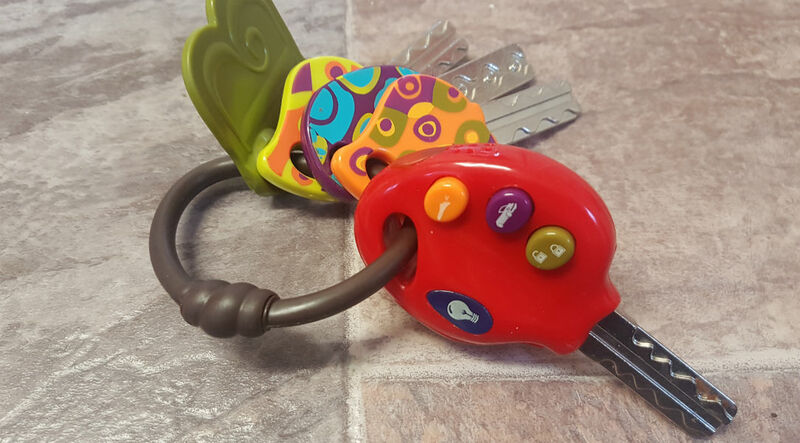 These B.Toys Luckeys Play Keys are a great choice. Full of bright colours and realistic car noises, they’ll help develop their creativeness and continue to be played with when their imagination is in full swing. Oh, and it also means they won’t be stealing your keys later on either. Bonus. B.Toys Luckeys Play Keys, £14. Kid more of a storyteller? There’s kit for that too. This Olli Ella Holdie House is pretend play at its best. In a simple design, just add dolls or little characters to give them hours of story time fun. The unfinished wood also means you can paint it in any colour or design they like. Creative and crafty. We love it. By this point, they’re really into everything. Their pincer skills have developed enough for them to colour in, while their cognitive skills are working overtime as they really start to pick up what’s going on around them. Take advantage of these and use them to enhance those pretend play skills by introducing them to face-paints. These Snazaroo theme face paint packs are a great place to start when it comes to this. Featuring two face paints, a sponge and a brush, this mini pack also comes with a simple three step guide to help create the look. And because they’re formulated to be paraben and fragrance-free, it means even kids with the most delicate skin can join in. Awesome. Kid more crafty? 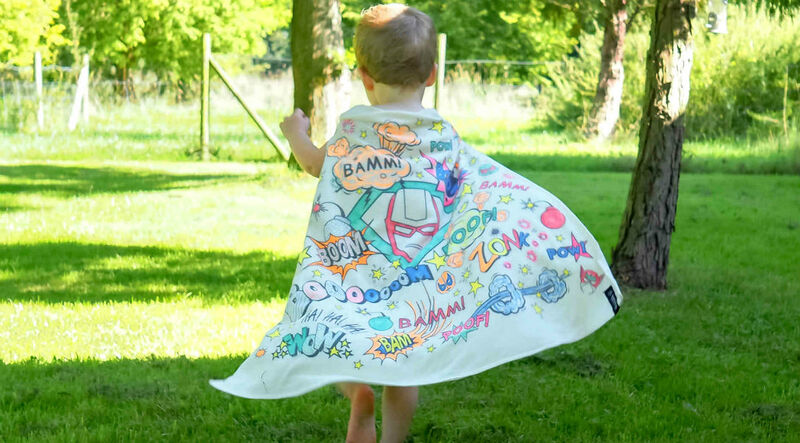 Mix fancy dress and art into their pretend play development with this Selfie Clothing Co Colour in Cape. Let them colour it in, then, when they're done they can wear this again and again for imaginative play. Creative and long lasting - it's a perfect piece of kit. Selfie Clothing Co Colour in Cape, £25. So there you go, our tips on getting kids involved in pretend play and some pretend play products to help develop these skills. Get ready for lots of imaginative fun guys!